The best things in life are free; but is this saying also true for web hosting providers? 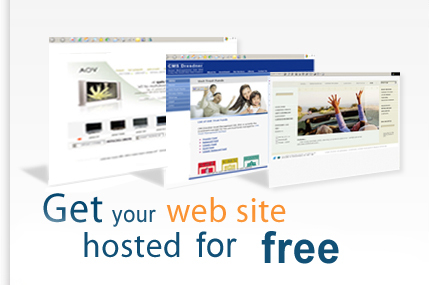 Yes, there are free web hosting providers that offer free web hosting. No monthly fees, no bills, no hosting packages; you get free web hosting services and even some perks that will help you create a professional web site for free. Different free hosting sites have different features; but as it’s free, you can never tell if it offers reliable hosting features. This is why looking for free best hosting providers is like shopping for shoes; you need to find the one that will fit your individual business website needs. The basic feature of free web hosting services is web hosting with PHP & MySQL support; so your site can benefit from PHP–based web applications like Joomla, Mambo, WordPress, Drupal, SMF etc. Another feature that you may find is forced advertising; something that is very common in free hosting sites but not all of them have forced ads. Some of them give hosting with no ads at all. Hosting EU – they offer free hosting with absolutely no ads. You get 200 MB free web space and 4000 MB bandwidth per month. PHP4, PHP5, MySQL 5 database, Webmail access, FRP access, online file manager, Joomla support and FrontPage are some their features. When you subscribe, you get 5 free sub-domain names. BizHT – this is a one of a kind reliable web hosting company that offers an Eco-friendly free green service plan. You get 250 MB of web space and 5 GB data transfer per month. Included are PHP5, MySQL, CGI, WordPress support and several free sub-domain names. They are powered by wind and 100% green energy. Biz – this is a business hosting site with no ads, no pop ups and no subscriptions. It provides 250 MB free web space, 5 GB monthly bandwidth, POP3 account, Webmail, FrontPage extensions, FTP support, PHP 4/5, MySQL, WordPress blogs, free sub domain names and many more perks. Award Space – a no ads plan that provides 250 MB disk storage space, 5 GB monthly bandwidth, 5 Pop3/IMAP email accounts, PHP, MySQL, CGI, access to FrontPage and an efficient control panel. Zymic – offers ad-free web hosting services giving you 6 GB disk space per account; plus you may have unlimited accounts per user. 50 GB monthly data transfer, FTP access, PHP, 3 MySQL databases and free sub domains are some of its features. 100WebSpace – they have a free web hosting plan that provides 100 MB web space, 3 GB data transfer, Webmail accounts, FrontPage support, PHP/MySQL, FTP support, efficient password protection and much more. The only disadvantage is that they have forced ads. XtreemHost – allows 2.5 GB disk space with 100 GB monthly data transfer, 10 MySQL databases, FTP support and more. Hosting Engine – this free web hosting service offers 250MB disk space, 5 GB of monthly data transfer, domain hosting, latest MySQL versions and more. Host ED – this is a free web hosting service which gives you 1000 MB free space, 10 GB of monthly bandwidth, 10 MB MySQL databases and more.